When I remodeled the kitchen and dining room one part that took quite some time was getting the windows and trim stripped, restored / reglazed and put back into place. 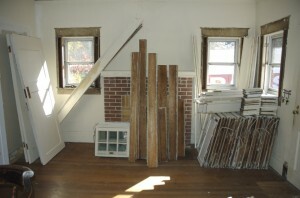 This go-round I decided one of the first things I needed to do was get the windows and doors and trim stripped first.. It took a very long time to paint it all last time, so I am trying to give myself as much time as possible while other parts of the project are going on.. I pulled all the windows out and sent them off to a professional stripper who dips the doors / windows / trim in some nasty chemicals and what not but brings them all back to me pretty much like new..
All of the doors, windows, and trim removed ready to send off for stripping. 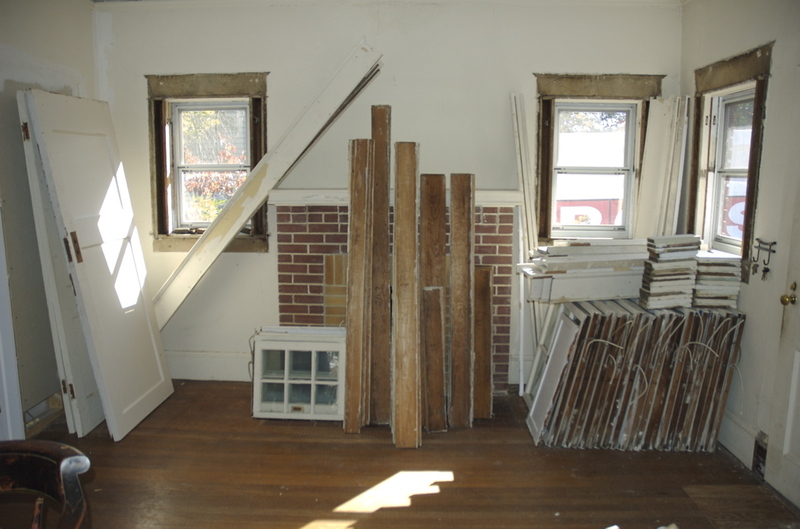 I have gotten some of the stuff back already and should be getting the rest of it next week.. My window glazer guy should be in town next week to reglaze all the sashes so I can stain and poly and have them waiting to go back into the window frames..